A comfortable, affordable San Jose airport hotel, the Vagabond Inn gives travelers a nice option for accommodations near downtown San Jose that don’t require breaking the bank. This pet-friendly San Jose hotel offers discounts to seniors, as well as packages like the Park and Fly package (great for business travelers in town for lengthy conventions) and the Winchester Mystery House package, which includes tickets for the famed San Jose attraction. 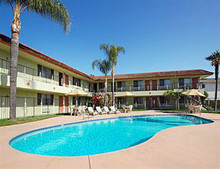 This hotel is also conveniently located to both Highways 101 and 880. Guestrooms at the Vagabond Inn feature friendly décor and amenities like free wireless Internet access, dual-line phones, desk space and cable television with movies. This pleasant hotel boasts a great swimming pool and a spa for guests’ enjoyment, and guests are welcome to begin their morning with a complimentary continental breakfast. There is a casual restaurant on-site open 24-hours that guests can visit, as well as Chinese, Japanese, Moroccan, Italian and American restaurants all within walking distance. Located minutes from downtown San Jose, the Vagabond Inn is only one mile from the San Jose International Airport, the San Jose Convention Center, the Civic Center and HP Pavilion (home of the NHL’s San Jose Sharks), not to mention the plethora of downtown San Jose restaurants, nightclubs and museums. This hotel is also near the famous Winchester Mystery House, dozens of outstanding wineries, theme parks and world-class shopping. The Lightrail station at Gish is steps away from the Vagabond Inn and offers easy access to an array of popular destinations. 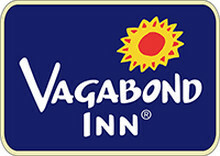 Welcome to the Vagabond Inn, a comfortable, affordable hotel near the San Jose International Airport. 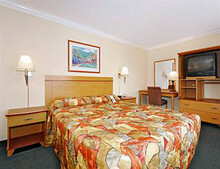 Guestrooms feature amenities like cable television and free wireless Internet access.